Hey kids! Can you sing, dance, tell jokes, recite poetry, hula hoop or play an instrument? 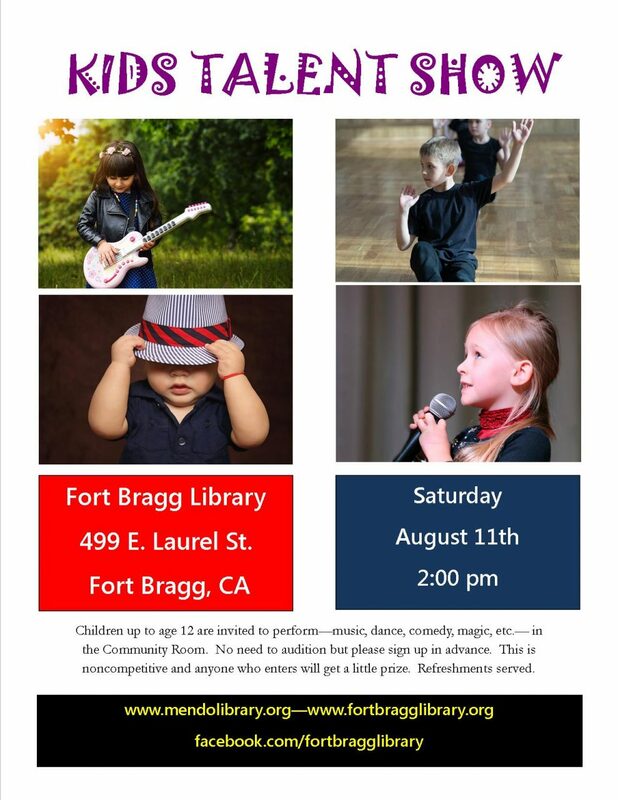 Show us what you’ve got at the first Fort Bragg Library’s “Kids Talent Show”! Open to ages 0-12. Sign up for a fun filled afternoon and get ready to shine!